"Global Respiratory Care Devices Market (By Segment, By Devices, By Region: Opportunities and Forecasts (2016-2021) (By Segment-Diagnostic, Monitoring, Therapeutics, Consumables; By Devices- Spirometers, DLCO, Pulse Oximeter, Gas Analysers, Capnographs, PAP, Humidifiers, Nebulizers, Breathing Circuits, Concentrators, Inhalers, Filters, Mask and Cannulas)"
Due to rise in tobacco intake and rise in pollution with escalating CO2 emissions, market for Respiratory Care Devices is anticipated to rise by 10.90% up till 2021. Growth in Ageing Population and high risk of respiratory disorders, rise in demand for handheld and portable device and rising incidence of Chronic Obtrusive Pulmonary Disease (COPD) is driving demand for respiratory care devices. The objective of the research is to present the historical growth (2010-2015) and the future projections (2016-2021) of the global respiratory care devices market (global, regional, country-specific) by various segments - Diagnostics (Spirometers, DLCO, Others), Monitoring (By Pulse Oximeter, Gas Analysers, Capnographs), Therapeutic (PAP Devices, Humidifiers, Nebulizers, Breathing Circuits, Oxygen concentrators, Inhalers), and Consumables and Disposables (Filters, Mask and Cannulas, Others including Tubes and Accessories) market. 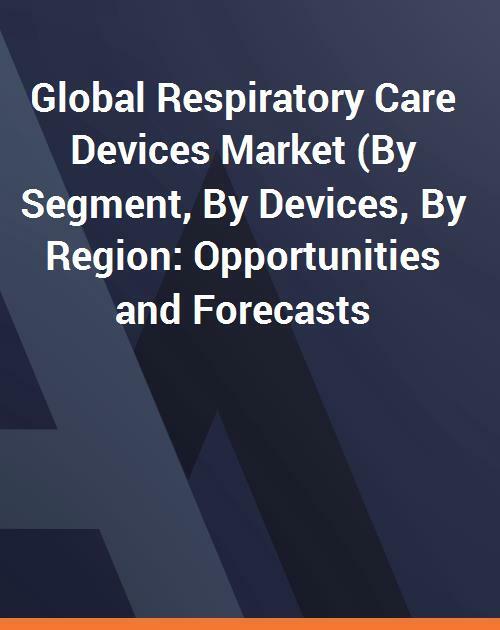 Geographically, the regions covered for the respiratory care devices market include North America, Europe, Asia Pacific, Middle East & Africa, South America and the countries analysed include U.S., Canada, U.K., Germany, China, India, Saudi Arabia and Brazil. Historical market trend of respiratory care devices market has been figured out through secondary research (associations, annual reports, magazines, journals) and by various paid databases. For presenting the dynamics of the industry and future projections, primary research was conducted and experts from the industry were interviewed.